I chose to study at NTU because it has a great reputation for fashion courses, with excellent facilities and lots of industry links. What made you choose to study our Fashion Accessory Design course at NTU? "I chose to study at NTU because it has a great reputation for fashion courses, with excellent facilities and lots of industry links." "I enjoyed that the course included a wide range of projects, allowing you to explore different avenues of design. You could walk away understanding the design, research methods, marketing and the production side of accessory design. As the course was very focused on accessories you were able to gain skills within a very niche market. "In particular, the course had an excellent knowledge of leather goods. However, if you want to branch out into other specialisms then you have the best support. I was able to explore textiles, producing leather goods as well as silk scarves within my final collection." Did you take part in any live projects? "I completed a live brief with River Island which involved creating a collection in groups and pitching it to the head designers. I was lucky enough to be selected as one of the winners, and had the opportunity to work at the River Island head office in London for six weeks. Live briefs are extremely beneficial as they broaden your design knowledge and give you an insight into what it’s like to work in the fashion industry." 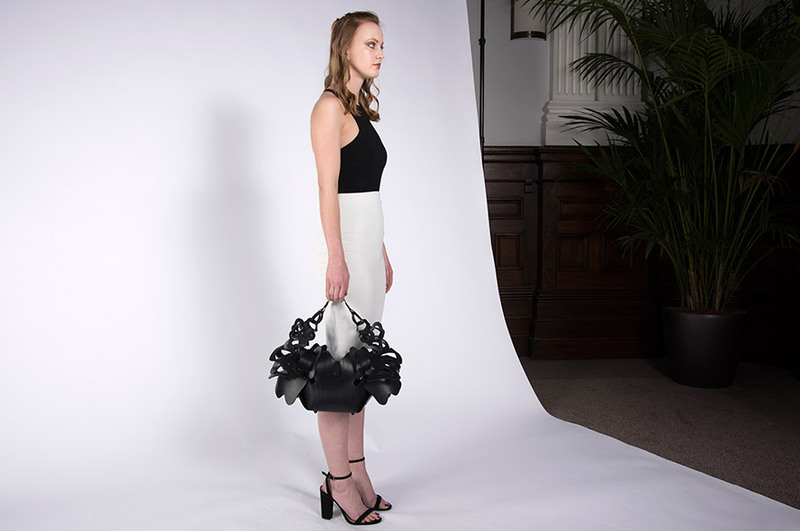 "I was one of two students who was nominated for the accessories award at Graduate Fashion Week and we were lucky enough to showcase all of our work on the NTU stand. Unfortunately, I didn’t win but I got a lot of exposure and valuable contacts from the exhibition. "During Year Three you have the opportunity to collaborate with a fashion or textiles student and create an additional collection consisting of two or three pieces. I collaborated with a fashion student and managed to adapt my final collection to meet her requirements. The fashion student’s collection also made it to Graduate Fashion Week so I managed to showcase two collections at the event." "I initially started studying Decorative Arts, but decided to move onto a more fashion orientated course. The course staff were highly supportive and ensured I was able to catch up with the Year One skills I had missed out on. By my final year I felt confident and was able to produce a high-end collection, without the staff and their extra help I’m not sure if I would have been able to do this."